the BE Series // Rebrand for the UO's BE Series, an inspirational speaker series that brings in activists, artists, leaders, and innovators from all over the country to inspire students outside of the classroom. The goal with the rebrand was to preserve the original colorful and modern design, but to incorporate images of each speakers and put a face to a name and idea. Willamette Valley Music Festival 2017 // Every year WVMF gets a new look, and this year, the event organizers wanted to use orange, one of the few off-limit colors at Oregon. We wanted to invite students to enjoy the evening shows with a sunset palette, and to clearly organize and display the wide range of events in printed and digital materials. This rebrand also included a logo update, as the client expressed concerns about the old logo looking too similar to a bike gear, but wanted to continue re-using past decor and merchandise. The solution was subtle and simple, but worked to emphasize the four points of the compass. 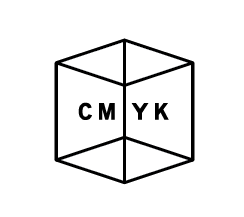 CMYK Branding // UO's Art & Tech 2017 spring term pop-up shop, CMYK, needed a brand. The entire company competes to pitch brand identities, names, and logos. The rules: (1) Everything is black and white. (2) Everything is square. My pitch for the name (CMYK) won over the class; the all or nothing attitude, the collective together, and the possibility to create infinite narrative combinations with four little letters encompassed the heart of the class. These were my pitches for logo designs, and ultimately the first was chosen to head the campaign. 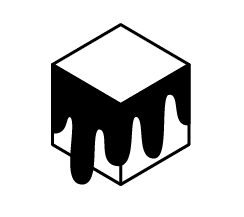 Hyperplum Branding // UO's Art & Technology BFA cohort creates an identity every year that fits the attitude and energy of the members. With a diverse set of 9 artists, the 2018-19 BFA was inspired by the unique ability of K-pop idol bands to work collaboratively and still maintain and celebrate the individual members' personalities. Under the guise of a band, we chose the name Hyperplum because the name was ambiguous and flashy enough to recall the energy and strength of boy bands like N*SYNC, the charm and power magical girl heroes like the Sailor Scouts, and attitude and fame of K-Pop groups like BLACKPINK. I created a brand for the group through logos and social media, and the yellow and pink logo became the trademark of the most prolific Art & Tech BFA cohort to hit the University of Oregon since the program's inception. Design and Type // etc.